Legendary distressed debt investor, and equity mutual fund manager, Martin J. Whitman has been called “the vulture of Wall Street” for his knack at finding amazing opportunities in beat down securities. When the rest of the world is falling apart, he can often be found, cash in hand, buying up things that will be worth considerably more only a few years in the future. Back in the 1970’s he wrote a book detailing his approach to value investing, which has since been updated, called The Aggressive Conservative Investor. He has taught for 30+ years at the Yale School of Management. 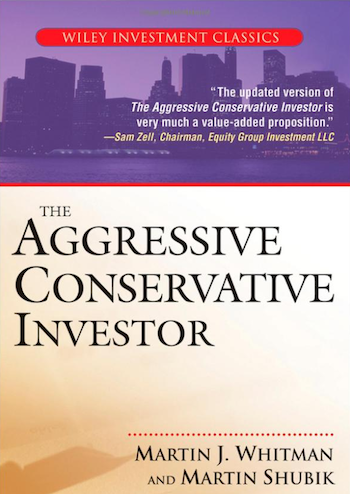 The Aggressive Conservative Investor by Martin Whitman is for more advanced investors who want to get into operations more complex than buying stock and shoving it in an account for decades. You can click the book to be taken to the correct version at Amazon. In my life, there have been two occasions in which family members had actively managed portfolios that I, myself, did not control for various reasons. 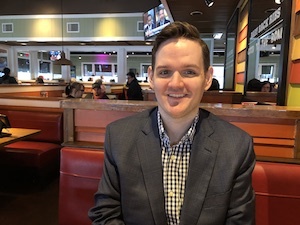 Of the only outside portfolio managers I have ever approved, one of those was a fund managed by Martin Whitman, which my parents have held, and to which they have regularly contributed, for years. I still read the annual reports of his Third Avenue funds every year and have one sitting on my desk at this moment. There is a lot of overlap between Marty Whitman and Benjamin Graham, with the primary difference being that Graham organized his affairs to find cheap assets that were quickly sold upon reaching intrinsic value. Whitman, on the other hand, believes (correctly, in my opinion) that intrinsic value grows over time in a successful enterprise as a result of retained earnings when that money can be put to good use. Thus, it makes no sense to sell an investment in a prosperous firm that is continuing to execute well once you’ve bought into an ownership position, especially given the tax advantages of holding for long periods of time with low turnover. Whereas Graham would look at a company like Coca-Cola to “buy it cheap and sell it dear”, someone like Whitman would look at it and buy cheap, holding until it became wildly overvalued or a much better opportunity came along that required capital. Marty Whitman’s approach can be more aggressive than more famous value investing methods. In the chapter on dividends, he talks about cash-carry operations. He points out a preferred stock that was, at the time, rated AAA with a 10% dividend yield. He argued that an investor could purchase 10,000 shares for $240,000, using $120,000 in capital and $120,000 in margin debt financed at 7.25%. With $24,000 in annual dividend income, less the $9,000 in interest expense per annum, the cash carry profit would come to $15,000, or 12.5% on the cash component of the investment. It’s a different form of arbitrage where time itself will wipe out the debt. In a large portfolio where there is virtually no chance of a margin call even under Great Depression scenarios, this approach can be very lucrative for sophisticated investors who understand risk management and have plenty of liquidity so as to quickly wipe out the margin balance if necessary to avoid a liquidation call. [mainbodyad]There are several other approaches that Whitman discusses in The Aggressive Conservative Investor that I engage in for my own household and business portfolios, such as buying shares in highly illiquid mostly-owned subsidiaries of larger, more profitable businesses, collecting large cash dividend income distributions with the potential for “mop up” mergers to someday come in and buy out the stake at a premium. Overall, I think this book is a valuable addition to any serious value investor’s library. However, there are a few, tiny things on which I disagree with Whitman, but he is both far older, far better known, and, at present, much richer than I am so (he’s had nearly 60 years of compounding his capital that I have not yet enjoyed!) and I respect his work so much I’m not going to mention them as they are more a difference in preference. His intellectual generosity through widely available writings have helped me make a lot of money and were important early in my career as I was studying capital allocation. [mainbodyad]It’s also refreshing to see that the man really deserves his pay – he doesn’t just buy the same stocks that are in the index and grab a management fee like so many other portfolio managers. Looking through his securities list you are unlikely to recognize 90% of the names unless you love digging into corporate records. About this post: Among the top requests I constantly receive on the site is to write a list of the “must have” books that I would recommend to my own family members if I were trying to teach them about finance, investing, business, etc. I have published a long list of the titles, which you can find in the book recommendation section. To make sure you get the version I am talking about in the post, click the image of the book cover, which will take you to the correct copy at Amazon.